This is most exciting show yet! 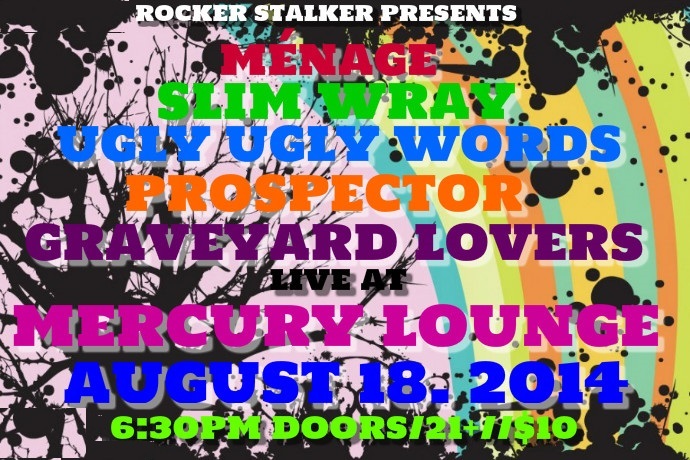 Rocker Stalker presents an AMAZING line up on Monday 8/18 at one of the best LES spots, Mercury Lounge, featuring Toronto’s awesome sibling trio Ménage, surfy rock duo Slim Wray, the wild and whacky Ugly, Ugly Words, top notch rock act Prospector, and grungy rockers Graveyard Lovers! Doors are at 6:30pm, 21+, $10! RSVP HERE! And GRAB YOUR TICKETS! Categories Select Category Entries HELP!